Are you hunting for your dream house? Here are useful tips for House Hunt. Hunting for your dream house is not an easy task. Everyone today aspires to live in a luxurious house at a peaceful location with like-minded people, secure environment, good connectivity and amicable traffic routes are the preference. If you have started house hunt exercise here is 8 useful tips for you. Never trust on real estate agent or online website blindly. 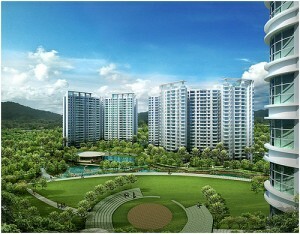 Once you locate the place for living do visit the place. Try to connect to people living there. Try to get information about power –cuts, safety, water problems etc. View the property in daylight, but don’t forget to check out the area in the night time. Also, walk down the local streets at different of a day. Newly built apartment with a luxurious facility may attract you but, you need to check about how many flats is sold or occupied. Living in a partially lived-in apartment is not a good idea. Security is a major concern and you need not to compromise on security. Explore that facility available at a house is as per your expectation. Also check for availability of additional infrastructure such as community centers, club house, children play area, swimming pools, gymnasiums, parking lots etc. If you are planning to purchase luxurious flat with additional facilities you need to also check about your affordability. Luxurious flats come with bundle monthly maintenance cost. Check in advance about expected monthly maintenance see if you can afford it. Try to get all factual information. Note down all these information when you view the house. Memory is short and you may forget it. If you are viewing multiple house, you may get confused. Once you are done with house hunting exercise it is advisable to prepare comparison chart. This will help you in making a final decision. Another important point is document check. Hire a good advocate and check for all relevant legal property documents including ownership detail in utility bill and property bill. I hope this tips will help you in house hunting. All the Best for house hunting! « Investment Options of Middle Class – Worth for investment?